Pete Brown has a detailed blog post about updating ObservableCollection from background threads. I wanted to share the link to his post from 2012 and share a quick code snippet that illustrates how to do this in .NET 4.5 and later. Go check out Pete's post with the full details.
' Makes the vector image frozen. Yes, I'm giving VB some love in today's tip. Checking CanFreeze is necessary because not all Freezable objects can be frozen at every point in a WPF application's lifecycle. If Freeze() is called on an object that cannot currently be frozen, an exception will be thrown. A few examples of WPF Freezable objects are Brushes, DrawingImages and Animation KeyFrames. If an application uses any of these resources and they are not going to be modified, they should be frozen. This will improve the performance of the application, as less processing will be used to re-render graphical elements. Here is a quick example of Freezing a DrawingImage. Consider vector graphics used in fixed-size elements on a window (toolbar buttons, for example). These are good candidates to be frozen. In Tip #4, we examined the use of IValueConverter with WPF binding. If you are using MulitBinding, a converter class that implements IMultiValueConverter is needed. Like the IValueConverter, the class must implement Convert and ConvertBack methods. The difference being the multiple values come in as an object parameter in Convert() and go back out as an object return value in ConvertBack(). The following example takes two string values as input and returns them concatenated with a pipe '|'. It will convert them back using the Split function, assuming your text value contains no other pipes. This code will use the converter in a WPF TextBox's Text property MultiBinding. The FallbackValue will be displayed if the converter fails or data is unavailable in the attached DataContext. Next time, we will shift gears away from data binding. Happy coding! In Tip #1, we examined how an IsAsync attribute can be added to WPF bindings to allow an application's UI to remain responsive while waiting for long-running ViewModel property getters. It was mentioned that setting the FallbackValue on an object provides a way to put a default value into a property while waiting for the live data to populate through the ViewModel. This can be used to populate actual default values or to display some placeholder text to indicate to users that the live data is still loading. Here is a simple example of using a FallbackValue with IsAsync on a standard WPF TextBox bound to a ViewModel property named SlowText. This will display "Loading data from a slow connection…" until the real data is returned from the SlowText property. In Tip #3, we will look at the use of FallbackValue with MultiBinding. 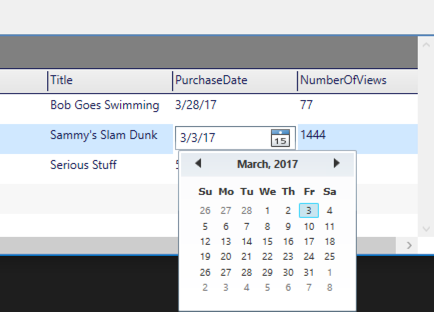 Welcome to a new series of quick tips for .NET desktop developers using WPF. Expect new tips (at least) weekly on this site. For links to other great resources for .NET developers, please check out my daily link blog, the Morning Dew. The IsAsync attribute on a WPF data binding allows your UI thread to remain responsive to user activity while the property to which a control is bound is retrieving data. This can be useful if the application must fetch large amounts of data or when a slower database or web data source is invoked. Here's a sample usage of the attribute on a simple ListView. 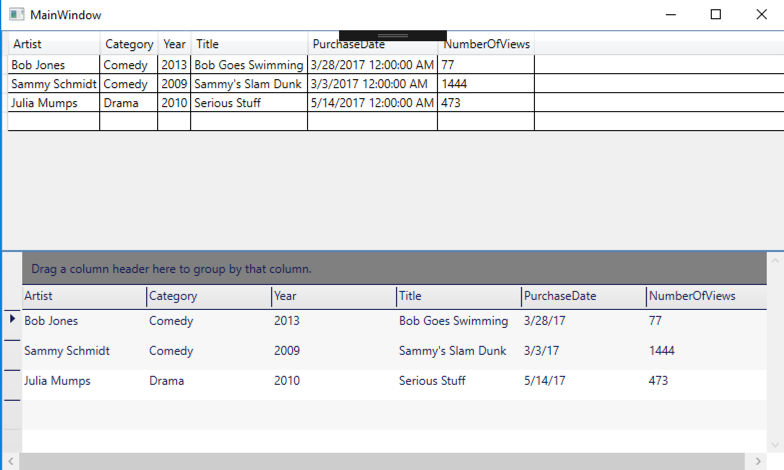 This ListView gets a list of items from a user's media catalog and presents them in a simple grid format with headers. While the data is being retrieved by the MediaCatalog's getter, a FallbackValue can be specified. In this case, a data row with a Title of "Loading…" could be used to indicate to the application's user that live data is on its way. 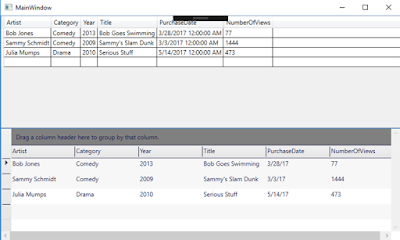 More information on WPF data binding on MSDN.